Volunteering Roles Available in the Youth Programmes. We are now recruiting for our Youth Summer Project 2019.
to 18 years – 17th June to 12th July Monday to Friday from 12:00pm to 5pm. 6 to 12 years – 1st July to 26th July Monday to Friday from 10:00am to 4pm. Join Our team Today! 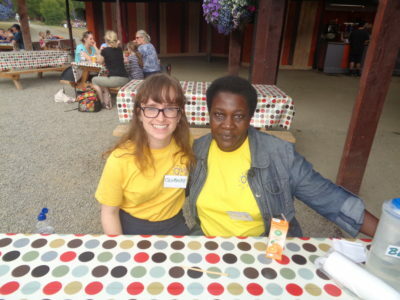 We Are Now Recruiting Summer Project Volunteers – DON’T DELAY, GET IN TOUCH NOW! The young people are not the only ones full of excitement and joy for the summer project. This year we have had the highest number of returning volunteers coming back as youth leaders for the duration of the project. This is thanks to the success and pure enjoyment from the previous years. The volunteers can see the positive impact they are making on the lives of these children. 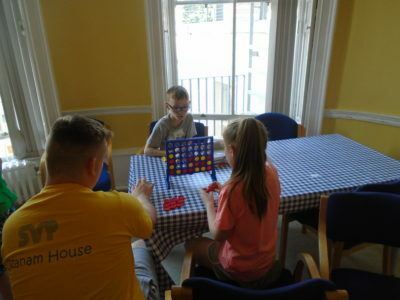 Both our returning and new volunteers bring their dedication, time, energy, skills and experience to each and every day they are in Ozanam House. They make a lasting impact on the lives of the children and young people and even through some of them are only taking part in the project for few days or a week, children and young people see their energy and the positive attitudes they bring. 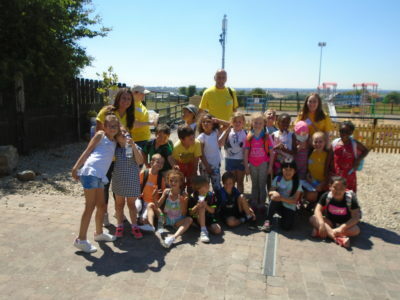 They are the ones who take part and lead activities each and every day, they facilitate the fun and joy the children and young people are having and look forward to every summer. 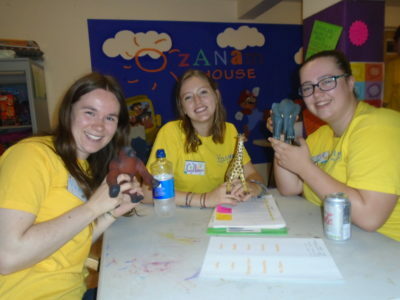 None of what we are trying to do in Ozanam House would be possible if we didn’t have our amazing volunteers. 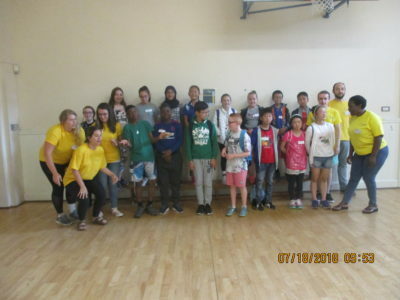 With the help and great work of the volunteers, so far we have been able to give a fantastic experience to 235 children and young people this Summer. Ozanam House is a community resource centre run by the Society of Saint Vincent de Paul. It is located on the site of the original clothing and furniture warehouse in a building that has also been used by the Society for a variety of purposes for over 100 years. Since our opening in September 2002, we have continued to develop various programmes and projects aimed at addressing the issue of social exclusion as well as the many needs of the local community. 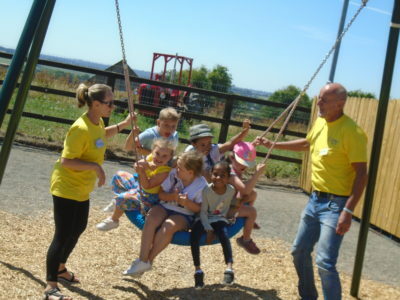 One of our biggest and most successful programmes is our summer projects where we engage up to 280 children and young people on an action-packed activities programme throughout the months of June, July and August each year. We engage as many volunteers as possible to support our staff in this activity programme, mentoring the children, facilitating activities where skills allow, accompanying the children and young people on weekly trips and acting as role models to the children throughout. Working directly with the children and young people supporting them in all aspects of their daily activities and routines. Acting as a role model to the children, supporting them in all areas of their learning and development. To work as part of the summer project team with volunteers, students and managers. Using policies and procedures in working with the children. Youth Leaders will get to know all of the centres policies and procedures over the first few months of work with the help and support of staff. 4 to 8 years – 30th July – 17th August Monday to Friday from 1:00pm to 5pm. Our expectation is that volunteers commit to a minimum One week of a project. This allows for relationships top form and for consistency across the project with Children and young people seeing the same faces every day. These relationships and this consistency is vital to the success of the project. In addition, we welcome applications from potential volunteers who have specific expertise or skills which they can contribute. For example, volunteers in the past have facilitated activities in specific arts and crafts, cooking or in sports on a given week. The time commitment for these volunteers will vary and be agreed in advance with the co-ordinator. A Child Protection Training session will be provided. This training will inform the volunteer of the protection and welfare of children under the Children’s Act 1997 and best practices when working with young people. Personal and professional development in terms of confidence, patience, adaptability. 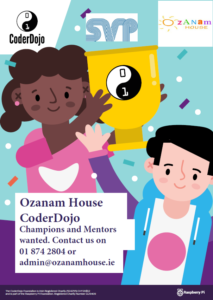 We are in the process of establishing a free after-school coding club for young people in our community, as part of the CoderDojo movement, here in Ozanam House which is a community centre in the North Inner City run by the SVP. CoderDojo is a global, volunteer-led movement that organises free computer clubs for young people aged 7–17, and there are more than 1600 clubs (Dojos) in countries all over the world. At a Dojo, young people explore technology and learn how to code in a fun, relaxed environment. CoderDojo gives young people confidence, a place to meet new friends, and valuable skills for the future, and it can open up new avenues for children who might not otherwise have such learning opportunities. You can find out more at coderdojo.com. We are hoping to have our Dojo up and running by mid-January 2019. In order to be successful, a Dojo needs mentors — adult volunteers, with or without technical skills — who provide support, guidance, and encouragement for young people to complete their projects and develop their skills. Mentors in turn also receive opportunities and benefits by being a part of the CoderDojo movement as well as being a member of Ozanam House and SVP. I hope you will share this message with your staff and students, offering them the chance to contribute to their community by becoming CoderDojo mentors. In addition to the resources provided here at Ozanam House, there is also a depth of resources available through the CoderDojo website which includes activities for starting the class and the best software to use for programming. There is also a Champion’s Handbook which gives the background information on CoderDojo, like how it was set-up and the organisation’s ethics, how to get a Dojo up and running and how to structure the sessions. Speaking of class structure, we are hoping to have 10 Ninjas (participants) per session, which will mean a Champion and at least three mentors facilitating the sessions. We would like to have 10 mentors on the books as a way of making sure there is enough cover. The sessions will take place here at Ozanam House and we will make laptops available to those that don’t have any. The sessions will take place for two hours on Saturdays. Do you have to be an expert in code and programming to become involved? No, not at all. While this is a bonus, it is not essential. We do ask that you do have some technical knowledge and are comfortable using computers and for your time and enthusiasm. Also, if you have experience in a similar set-up or a background in dealing with children and teens would be a bonus. The process is the same for all our volunteers. As we have a responsibility to all the service users at Ozanam House, everyone will go through the Garda Vetting process and reference checking. There will also be inductions and Child Protection Training provided. –Communication skills: Interaction with young people and other mentors allows volunteers to develop their communication skills. –Networking: Mentors will have the opportunity to form contacts with IT professionals. –Develop programming skills: Mentors’ technical skills will be fostered, as each Dojo covers several programming languages from beginner to advanced levels. –Local community and youth work: Mentoring will give volunteers experience of working with young people while helping out and giving back to their local community. You can support young people in Dublin’s North Inner City to develop skills which will give them opportunities to create better futures. –Professional development: Many companies recognise CoderDojo mentoring as a great addition to a job applicant’s professional development. Some companies that have worked directly with CoderDojo are Microsoft, Salesforce, Accenture, Riot Games, Deloitte, and Thomson Reuters. Our Youth Leader volunteers commit to one group on one day – 2 hours each week (the exact times and days will be agreed between the volunteer and the programme co-ordinator). Our volunteers should commit to a minimum period of nine months. If you know in advance that he or she can only commit to a shorter period of time, you should let the coordinator know. Contribute to plans for your youth group. Supervise the group together with other volunteers. ongoing feedback and support between all volunteer youth leaders. establish good relationships with children and young people. and an understanding of the factors affecting their lives. An accepting and non-authoritarian approach. Reliability, patience, resilience and flexibility. Attend Child Protection Training learning about best practices when working with children and young people. Our Programme co-ordinator will provide ongoing support to all of our volunteer. Youth leaders will meet with their co-ordinator either in one-to-one meetings, or in larger group meetings to discuss ongoing progress and any issues arising. If you are interested in volunteering with us, please contact us now! The Ozanam Youth Groups are open for all children from the age of 6 to 13 years with a maximum number of 45 registered in the groups. The Senior Youth Service is open for young people from the age of 13 to 18 years with a maximum of 20 young people registered in the groups. These groups are multi activity social and skill based programmes that give children and young people a chance to find their hidden sometimes buried talents in a safe, fun, learning and social environment. The young people not only develop skills, but also develop new lifelong friendships and a respect for themselves and those around them as well as an enhanced sense of self-worth and belief that is immeasurable in today’s society. They achieve this with the support of our volunteers who work with us to create this safe environment. Each week, we organize activities such as cookery, computers, arts &amp; crafts, sports and music to name but a few. The volunteer leaders support the young people in the activities, engaging with the young people, acting as mentors and role models throughout. Perhaps the most important function of the groups is the educational and community support that is offered by our volunteer leaders. 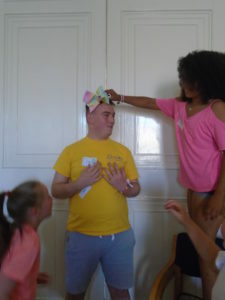 This support aids and assists the personal development of the children and young people in the centre. Our Volunteers not only support the children and young people but also each other. This support means volunteers are able to share their learning in the role and to benefit from each others experience, sharing knowledge and skills. To reach our full potential and to achieve our goals in the group, we are constantly seeking new volunteers to support the youth co-ordinator deliver a quality and professional programme to the children and young people ensuring a standard level of safety and fun environment within each group. Attend the Child Protection Training session. Attend team planning meetings each term. Help prepare for the groups. 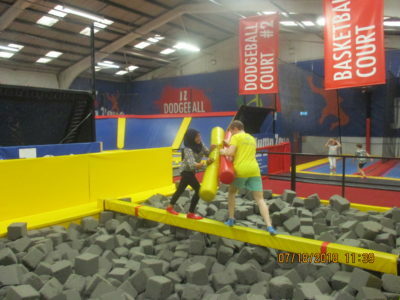 Take part in activities and spend time with the children and young people. Be a role model for the children and young people and help them with their activities. Attend and contribute to debriefings after the classes with other volunteers. Work as part of a volunteer team within a really supportive environment where everybody helps each other, giving and taking ongoing feedback and support between all volunteers. Attend team meetings every term to assist the co-ordinator with planning, organising, developing and running the programme. Support the implementation of restorative practice as a procedure for conflict resolution in the group. Volunteers with talents, skills and qualifications in specific activities are encouraged to teach classes if comfortable doing so, with the support and guidance of the coordinator. To attend meetings and training days if/when applicable. Tuesday, Wednesday and Thursday from 5:00pm to 6:30 pm. Wednesday and Thursday from 7:15pm to 8:30pm. Our expectation is that volunteers commit to one group on one day – 2 hours each week (the exact times and days of working will be agreed between the volunteer and the programme co-ordinator). The volunteer should commit to a minimum period of nine months. If the volunteer knows in advance that he or she can only commit to a shorter period of time, the volunteer should let the coordinator know. Excellent communication and interpersonal skills, with the ability to establish good relationships with children and young people. Strong commitment and enthusiasm to children and young people and an understanding of the factors affecting their lives. Interest and commitment to developing the capacity to provide reliable support to children and young people in times of stress and act with integrity, respect and support. Good level of energy and good commitment to having fun. Ability to treat children and young people’s concerns with respect, tact and sensitivity. Ability to be aware of own limits, to admit it and to ask for support. An openness to learning and developing further good practices when working and supporting young people. Previous experience is desirable but not essential. Ozanam House is now recruiting volunteers for its Senior Youth Service programme, to help out on Tuesdays. 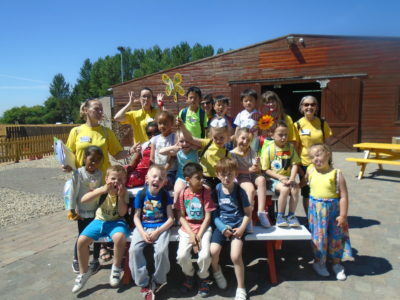 Each week, we organize activities such as cookery, computers, arts & crafts, sports and music to name but a few. We try to nurture and build on the unique skills our volunteers possess and bring to the centre and we do this through supporting them to facilitate sessions with the youth groups. This support can help identify an area of expertise and specific skills that can be used to facilitate a series of workshops that would benefit one of the centre’s programmes. The volunteer leaders support the young people in the activities, engaging with the young people, acting as mentors and role models throughout. To reach our full potential and to achieve our goals in the group, we are constantly seeking new volunteers to facilitate group sessions and support the youth co-ordinator deliver a quality and professional programme to the children and young people ensuring a standard level of safety and fun environment within each group. Senior Youth Service: Wednesday and Thursday 7:15pm to 8:30pm. Our expectation is that volunteers commit to one group on one day – 2 hours each week (the exact times and days of working will be agreed between the volunteer and the programme co-ordinator). The volunteer should commit to a minimum period of nine months. If the volunteer knows in advance that he or she can only commit to a shorter period of time, the volunteer should let the coordinator know. In addition, we welcome applications from potential volunteers who have specific expertise or skills which they can contribute. For example, volunteers in the past have delivered training in specific areas such as arts and crafts, cooking, film making, graffiti art or in sports. The time commitment for these volunteers will vary and be agreed in advance with the co-ordinator. Interest and commitment to developing the capacity to provide reliable support to children and young people. in times of stress and act with integrity, respect and support. The volunteer will receive an induction/information night in the centre prior to his/her first inset and will get a general information pack to become familiar with the centre and our procedures. The volunteer will have an initial meeting with the co-ordinator to receive a role-specific induction and to agree a timetable and schedule of duties in line with the volunteer role description. At this meeting the volunteer will have a support volunteer appointed to them. This person will have been working with the group for some time and will provide initial guidance, advice and support to the new volunteer. Child Protection Training will be provided within the first few weeks. This training is compulsory and will inform the volunteer of the protection and welfare of children under the Children’s Act 1997 and best practices when working with children and young people. Team meetings take place each term, as well as individual training programmes that will be provided if/where necessary. The co-ordinator will be responsible for the supervision of the volunteer. Volunteers will meet with their co-ordinator either in one-to-one meetings, or in larger group meetings to discuss ongoing progress and any issues arising. Furthermore there will be a specific volunteer information session for the youth groups in January and September. Aim of this session is to get together, set an outline for the following period and explain the expectations for the volunteers in detail. Learn new skills (e.g decision-making and finding alternatives, leadership skills, communication skills, organizational skills, behavioural competencies). The chance to contribute towards the development of children and young people to enhance their sense of self-worth and belief. To make a difference in young people’s lives. Opportunity to use and develop skills and talents. Opportunity to bring ideas on board and develop the centre. Opportunity to work in a relaxed atmosphere. Opportunity to develop friendships and meaningful relationships with like-minded peers. Opportunity to build up valuable work experience. If you are interested in this role, please contact us now! 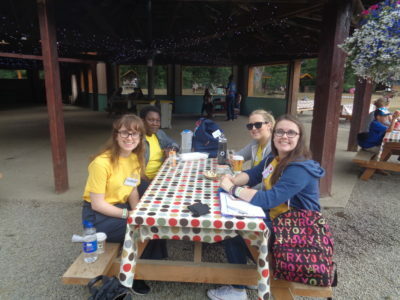 Ozanam House is now recruiting volunteers for its Ozanam Youth Group programme. To help out on Tuesdays and/or Thursday evenings.